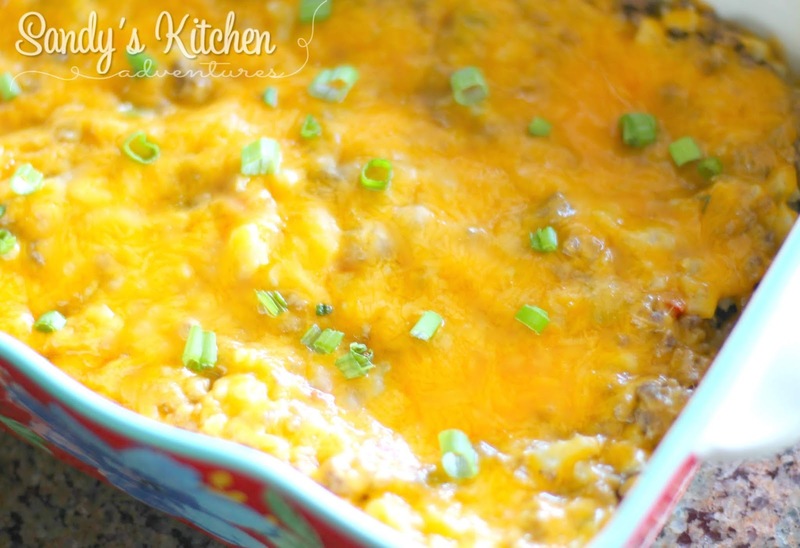 This is an easy dish to throw together on those busy hectic days! A wonderful weekday meal! 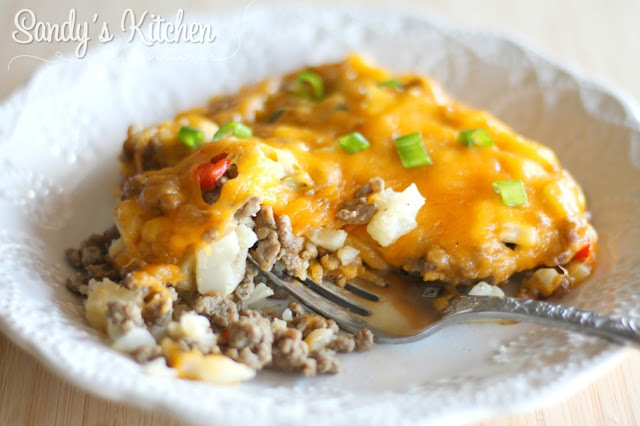 You got to love those skillet meals! 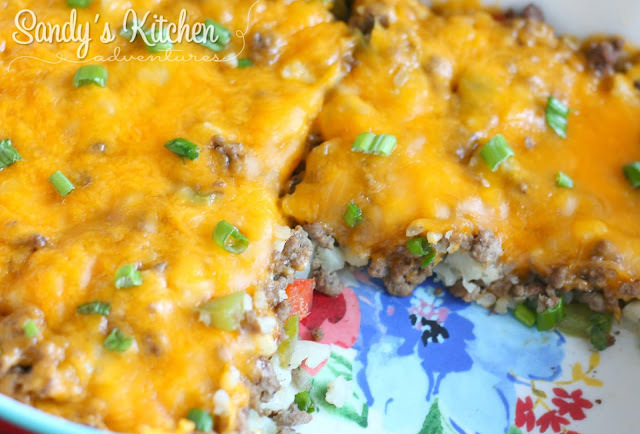 Super easy and quick to make, but yet so yummy requiring only a few ingredients! You can always change out the peppers to veggies of your choice or add more veggies to the dish since you still have 1 and 1/2 more Greens to complete your Lean and Green meal. Delish! 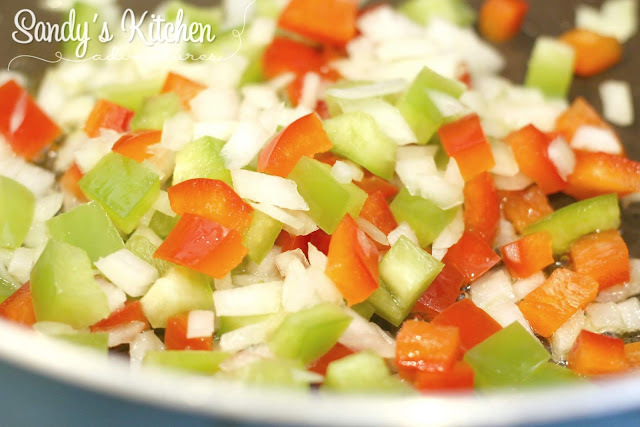 Start off with chopping your peppers and onions. Then saute in a pan with olive oil until onions are translucent and peppers are soft. Then add the ground beef and continuing cooking until cooked through. I did not drain the meat because there wasn't much fat since I used a leaner beef. Next, add the chopped cauliflower and spices. Continue cooking until cauliflower is tender. 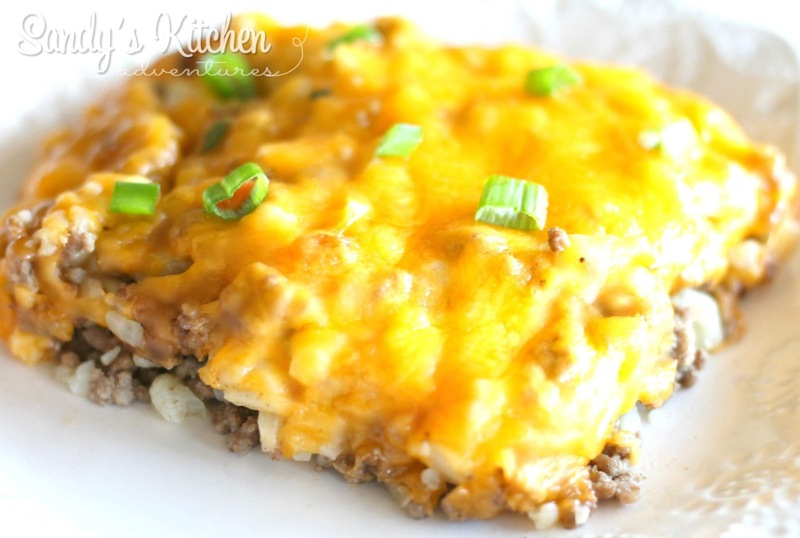 Add cheese on top of the ground beef and cauliflower mixture. Lower the temperature to low and cover the skillet with a lid. Allow the cheese to melt. Divide into 4 equal portions, about 1 cup each serving. Add 1 1/2 Greens of your choice on the side such as 3/4 cup roasted zucchini! Enjoy! Add onions and peppers and cook until onions are translucent and peppers are tender for about 3 to 4 min. Add ground beef and cook until cooked through. Add cauliflower, garlic, salt and pepper. Cook until cauliflower is tender. 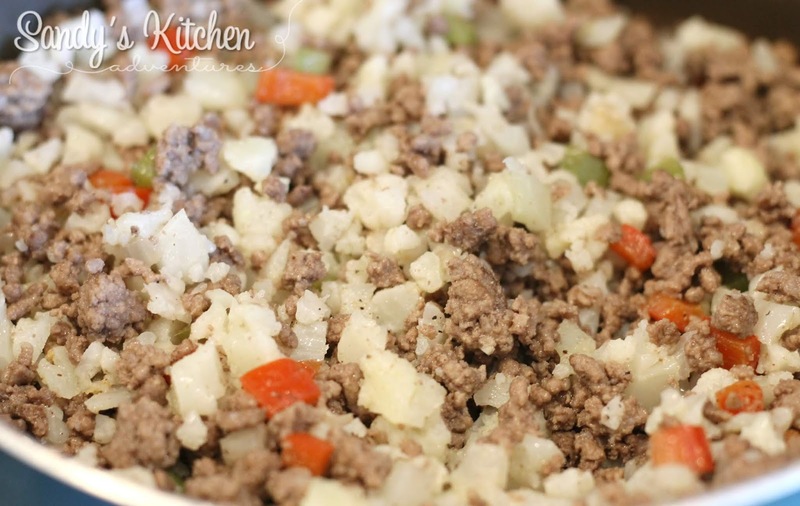 Add cheddar cheese on top of the cauliflower and beef mixture. Turn heat to low, cover the pan with a lid and allow the cheese to melt. *You can skip the cheese and make this a full Lean and Green meal with 2 Servings! You will need to lower the Condiments to a total of 6. Do this be decreasing the onion to 1 tbsp instead of 1/4 cup. This would give you 2 Servings with 1 Leaner, 3 Greens, 3 Condiments, and 1 Healthy Fat per serving.